A week that began with government panic over Jaipur-Literary-Festival-gate has ended with Prime Minister John Key once more firmly in control—thanks to the appointment of a new ‘black ops’ spin doctor. The mysteriously mononymous appointee, known only as ‘Sooty’, has already stamped his mark on this week’s press conferences. The visibly distraught and sleep-deprived John Key of the previous week, stammering that he was “not relaxed or comfortable” about Eleanor Catton’s Jaipur comments, has now been transformed into a confident and reinvigorated prime minister, breezily dismissing Catton’s opinions as “predictable”. Despite the early success of the prime minister’s new spin-doctor, there have already been accusations that ‘Sooty’ is wielding undue influence. Cabinet insiders claim that ‘Sooty’ is behind the prime minister’s new-found view that New Zealand has a “moral obligation to set an international example” and join the battle against ISIS. “Once the concept of a ‘moral obligation to set an international example’ was explained to us then we all became really enthusiastic,” says one minister, who wanted to be identified only as ‘Steven’. I Knew The Real ‘Sooty’, Says Former Co-Star. But what is actually known about the background of ‘Sooty’? A CV obtained under the Official Information Act reveals that ‘Sooty’ was born in 1952, and was once a successful television “family entertainer”. His career peaked in the 1960s and 1970s, when—along with fellow celebrities Rolf Harris and Sir Jimmy Savile—he charmed audiences throughout the British Commonwealth. But Minister of Racing and uncircumcized former farmer, Nathan Guy, claims that he got to know the reclusive spin doctor “as much as anyone can” during the exhaustive interview process—and describes him as “cut”. Despite ‘Sooty’ having an entertainment background, the government says that he will “absolutely not” be giving preferential treatment to his former show-business chums. A press release issued by CERA confirmed that two redundancies had been enacted late Friday afternoon. 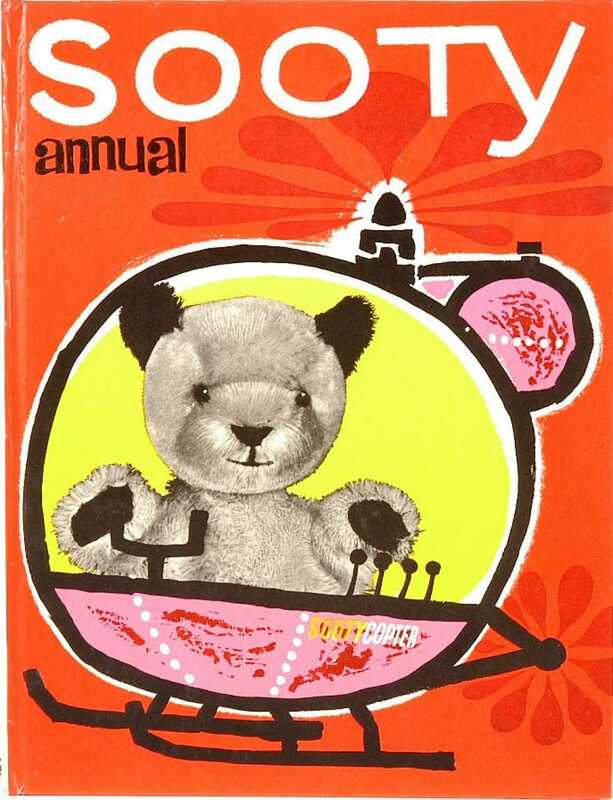 Sooty’s long-time television collaborator, Sweep, declined to be interviewed by This Week In Parliament, explaining via Morse code that his intention to take legal action against Sooty was “well known” and that the matter would shortly be “before the courts”. Our 88-year-old stenographer, Miss Spong, has requested a bonus for spelling “weltanschauung” correctly, and hopes that Russell Brown’s house doesn’t burn down in the event that there’s not an extra fifty in her brown envelope this week. Unfortunately Russell has a policy of not paying at all when threatened with arson, so you’re bound to be a bit disappointed, Miss Spong. Nevertheless, we’re sure that you’ll still be doing the transcripts next week—if you want to maintain your normal cigarette habit! What a trouper you are, Miss Spong. It would be a good few extra years in prison if anything really does happen to Russell’s house. And, of course, a few extra years is tantamount to a death sentence at your age! I hope Ms Spong, in the odd break between bursts of her vital parliamentary stenography, takes the time to write her own life story. Blood needs to be curdled; hackles, raised; spines tingled. It's her patriotic duty! Is Sooty maybe one of the ravens Huginn or Muninn? 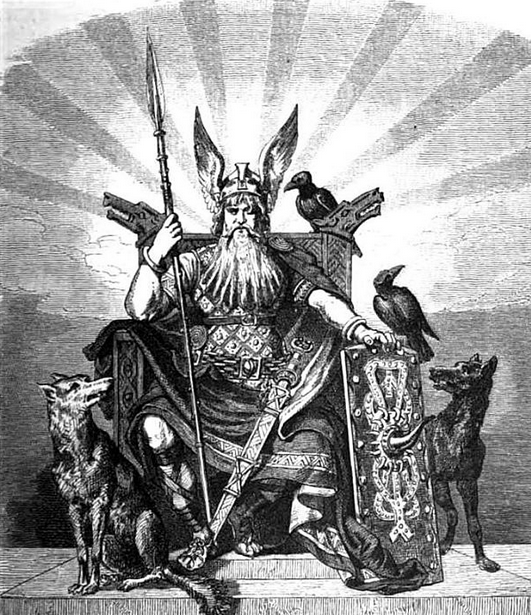 but, but, that would make Key - Odin! ...giving truth to the old saw that in the land of the blind a one eyed man is king! But if Sooty is 'that bear' he has pedigree - the Daily Mail has a tale of his killing someone! keep your black powder dry! Wow -- 7.00am and already four comments of genius that have significantly extended the analysis of our parliamentary reporting. Rob: what an excellent suggestion. I shall have a word with Ms Spong when she is in a better mood. It's my understanding that she has family in the church and is therefore rather reluctant to publicize her various 'scrapes', but she must also weigh this against the public's need to know (in my opinion). Paul, Martin, and Ian: you are obviously persons of great brain (perhaps you eat a lot of fish?) and I only wish that the Public Address budget would stretch to hiring you as additional parliamentary reporters. What a formidable team we would make. I thank you! perhaps you eat a lot of fish? David, can you please tell Miss Spong that neither I nor any member of my family will open the door to her, and that she must surrender any thought of an affectionate relationship between her and myself. Also, that the cats she has disembowelled and affixed to lamp-posts in our street in fact belong to various of our neighbours, who are understandably upset. Is she perhaps related to the Miss Spong who was reported to be Churchill's bodyguard during the WWII? I think those documents may have become public domain now. Look, I told the prison administrators that trying Miss Spong on day release was a bad idea – and now look what’s happened! Russell, I will certainly convey your message to Miss Spong, and I offer my condolences to you and your neighbours for what must have been a very trying experience. It goes without saying that, of course, the judiciary of this country had a very good reason to put Miss Spong behind bars (not to mention her black-listing by the SPCA), but – if it’s any consolation – I don’t think the thing with the cats was necessarily directed at you or your household. If you recall the job interview when we hired Miss Spong: how she raged on and on about cats; how she said that cats were against democracy; how she maintained that if you observed a cat when it was watching Robert Mugabe on television, then you would see the cat smiling to itself, and thinking “There’s our Robert”. It all adds up to a pretty good prediction of the subsequent events in your street. In other words, I don’t think that Miss Spong had any plan to “put the frighteners” on you via the cats, but rather it was a case of: the cats were there, the lamp-posts were there; she had a knife. In other words, she had the motive, the means, and the opportunity – so naturally she just put the three things together. It seems seems to me that pairing Ms Spong with a certain Kiwisaver Mogul might be an environmentally successful strategy …. Jason Ede couldn't have wished for a more suitable successor. Who but the strong and almost silent Sooty could suggest such a perfect Party slogan, "Izzy wizzy, let's get busy!". It encompasses all that is National and reminds us that all JK has to do is wave a magic wand and all things are possible, however unconventional that may seem it has been the hallmark of JK's career to date and may become the central convention for some years to come, a convention centre if you will. "Bye bye everybody, bye bye"
Fake news host Jon Stewart has announced plans to step away from The Daily Show later this year. it doesn't matter what JK does, he gets on swimmingly. Treacle or water. It is rather sad that this is the only, albeit clever and amusing, thread pertaining to politics on Public Address at this time. A time when so much is happening, appearing in even the MSM, that we would, in the past, have been so vociferous in discussing. The Sabin affair, the Sky City rort, State House sell-off, the rise of Andrew Little and the rebirth of the Labour movement. So much to discuss, so little said. On the Sabin affair I came across this. NBR ONLINE first began researching the National MP in September. In December, Fairfax media revealed Waitemata police were investigating an assault complaint against Mr Sabin. It is understood the National Party was first made aware of an assault complaint against National MP Mike Sabin weeks before the 2011 election but chose not to ask Mr Sabin to withdraw his candidacy. Is that a simple typo or does it really go back that far? The question should be asked in Parliament... "When did the police initiate their investigation into Mike Sabin?" If the 2011 date is, in fact, correct, then surely the PM would have known years ago. We are now reliably informed by that most reliable of jokers, Steven Joyce, that the Government will not be coughing up Corporate Welfare for those poor undernourished folks at Sky City, they will just have to spend that $402,000,000 they said they will and we will just have to put up with an eyesore, to mach the existing eyesore that is their Casino and "entertainment" centre. Either that or we must put up with the three perfectly adequate convention centres we already have. State Houses are not, apparently, assets, go figure. There is no reason for central, or even local Government to duck their responsibility to the Nations underprivileged, those same underprivileged that are growing in number under this ideologically crippled cohort of corrupt criminals, other than to line the pockets of those that already hold the bulk of the Nations wealth. Are we going to sit back and stay quiet? are we going to go quietly into this dark self satisfied morass of middle class slumber? or are we going to get back on that once proud horse that was Public Address? Like Steve, I've been expecting a pithy PAS post on the SkyCity fiasco. I enjoyed Dave Armstrong's summary in today's Dom Post. The odds seem to be stacked against those, like SkyCity, at the bottom of the corporate heap. I've heard that children of SkyCity executives are turning up at their Auckland private schools without having had a decent cafe breakfast. At playtime the kids have to fill their bottles with tap water. Even worse, Auckland's rising housing market has forced out some executives from Remuera and Herne Bay into nearby ghetto suburbs such as Meadowbank and Westmere, forcing their children to attend decile 9 schools. Key is already re-writing history by claiming (RNZ this morning) that taxpayer funding for the casino was never an option. Hold on... didn't he say a few days ago that taxpayer funding for such a needy cause was likely? The man's hypocrisy is shocking. Like Steve, I've been expecting a pithy PAS post on the SkyCity fiasco. And as if by magic.... !!KAPOW!! eta Love the Armstrong piece. Mr Key said there was nothing unusual in the controversial original deal in which the Government agreed to let SkyCity install more pokies and gambling tables in return for the company building the convention centre. "Helen Clark did the same thing actually, Labour forget that. That's how we got the first convention centre," he said. SkyCity opened its first convention centre in Federal St in 2004, eight years after the casino opened in 1996. Um, that's not how I remember it, but I'm not in a position to fact check. Um, that’s not how I remember it, but I’m not in a position to fact check. Ah, I see Russell has picked up on that in the latest post.